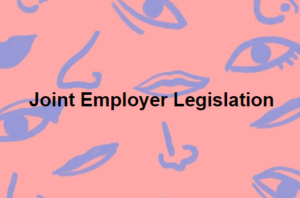 Chabot introduces joint employer bill - CUE, Inc.
As reported by POLITICO, Rep. Steve Chabot (R-Ohio) today introduced a bill that would shield franchisers from certain joint-employment lawsuits. The so-called “Trademark Licensing Protection Act” would bar franchisers from being classified as a joint employer — and therefore liable for labor violations by its franchisees and contractors — if its actions enforce trademark protection standards. Business groups have been pushing Congress to rewrite the standard for joint employment as defined by the National Labor Relations Board. Under former President Barack Obama, the board ruled that franchisers need exercise only indirect control over franchisees to be held liable. IFA said the bill would be co-sponsored by Rep. Henry Cuellar (D-Tex. ), who voted with Republicans on a joint employer bill last year.